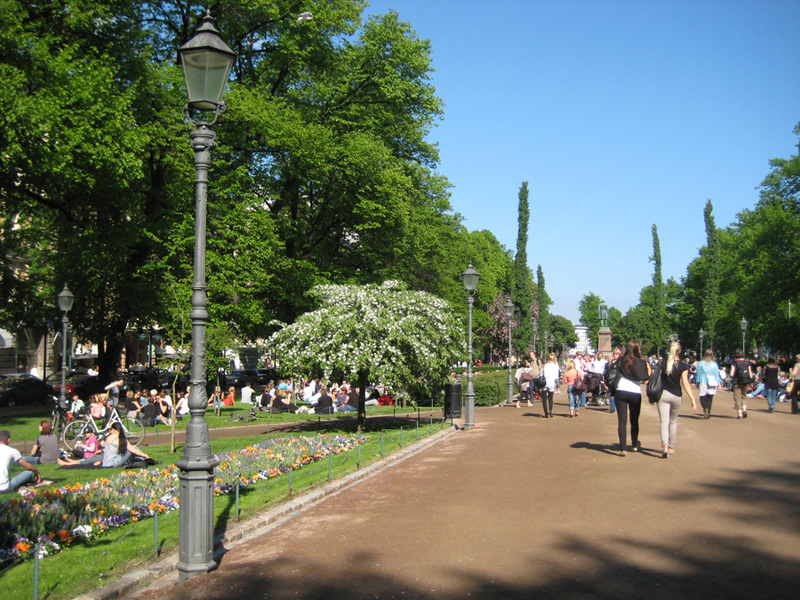 Esplanadi has been Helsinki's premier park for 200 years. In the past, people would come to "Espa" to see and be seen, or to promenade – and now people sprawl on the grass, meet friends and enjoy some treats from their picnic basket. Every season brings something to Espa: the May Day carnival, Midsummer festivities, summer concerts on the Espa stage, and the St. Thomas market at Christmastime. There are stalls selling things, cafés and restaurants, public toilets and dozens of benches for lounging, socialising and people-watching. Esplanadi was included on the city plan in 1812, and since then it has been modified a number of times. 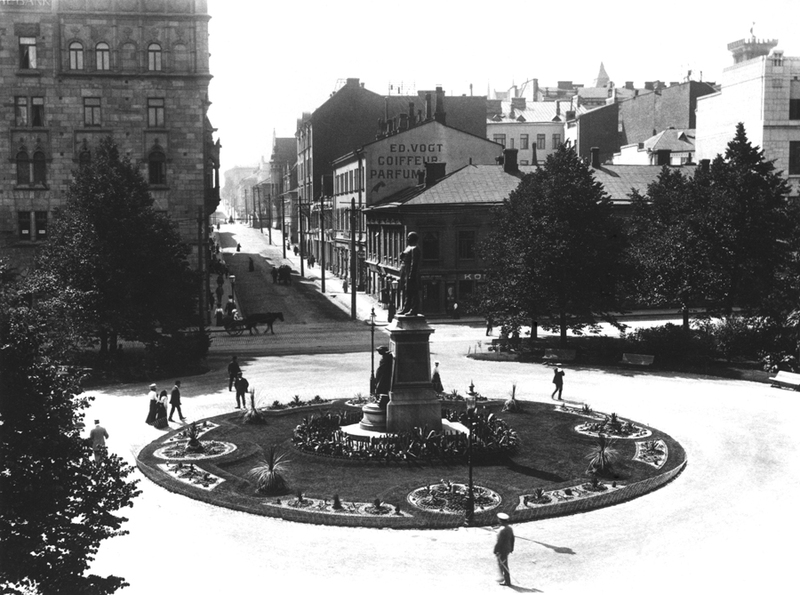 In the architect C. L. Engel's plan from 1826, cross streets divided the Esplanadi park into three sections, now called the Theatre Esplanade, Runeberg Esplanade and Chapel Esplanade. 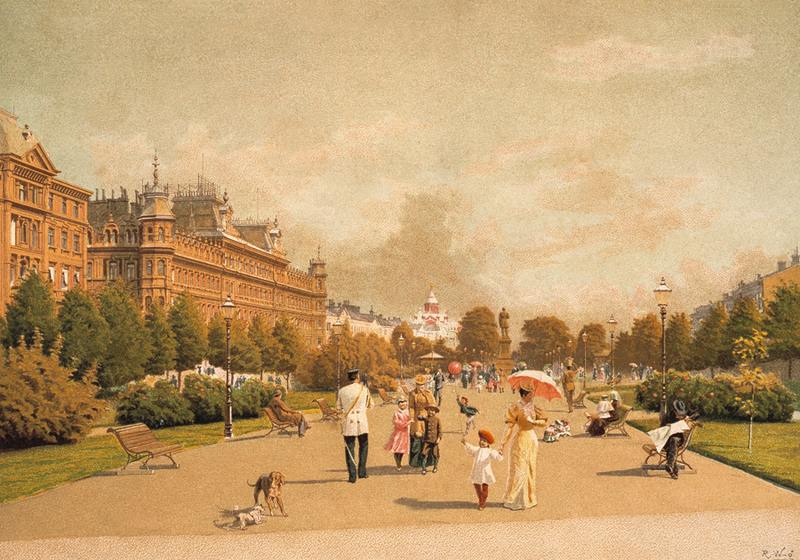 The current appearance of the central section of the park was designed by J. Wallmark, a Swede, in 1881. The lawns created in the era of City Gardener Svante Olsson in the early 20th century were accented in the Continental style with large palm trees and plantings composed of thousands of cacti and succulents. The park was completely renewed in 1999. Esplanadi is dominated by four rows of lime trees (Tilia), the oldest of which date from the 19th century. In the winter, some of the trees are garlanded in a veil of lights. Besides roses, Espa features traditional lilacs (Syringa), horse-chestnuts (Aesculus hippocastanum), crab apple trees (Malus), laburnums and columnar aspens (Populus tremula 'Erecta'). Wonderful seasonal plantings add extra colour.